SharpSpring Review: "Marketing and Sales Automation Tools for Anyone at a Great Value"
We're using SharpSpring for both our marketing and sales programs. For marketing, it's our tool to create list emails and landing pages for conversions/offers. It lets us stay up to date with our contacts through form submission details and knowing which pages of our site they frequent the most. On the sales side, we set up automation drip-programs for our new offers and are able to use it for outreach. Automating all of these processes saves us a lot of time and from having to hire extra personnel to do admin work. The biggest problem it addresses is making a small team operate like a large one. Automated social media tool lets me connect multiple platforms (Linkedin, Twitter, Facebook) and schedule posts for all of them while utilizing my landing pages and blog posts with tracking links. Contact record/timeline provides a detailed history of how a contact has interacted/engaged with our business on our blogs, landing pages, emails and workflow programs. I'd like to see a larger community forum so that SharpSpring users can connect with each other to share ideas on how the platform could be better and how to create workflows to solve common business problems. I would like to see the ability to edit html in the visual on a per module basis instead of just on the entire page/email. SharpSpring is great for teams of marketers and sales people who need to wear multiple hats everyday. Need to track incoming leads, setup and distribute list emails, build a new landing page for an offer, write a sales-driven email sequence to promote it, and then be able to visually, cleanly report on it all? That's what SharpSpring helps us do, and knowing how to use the platform makes our sales and marketing teams more valuable to our business. SharpSpring Review: "Marketing Automation The Way It Should Be - Easy and Affordable"
SharpSpring is currently being used across our entire organization. Marketing, sales and customer support all use SharpSpring to keep track of customer communications as well as tracking marketing efforts as well as sales. SharpSpring allows us to bring many different technologies into a single platform so we can now see the full life cycle of a customer, from click to the sale and beyond. By being able to track the results of our marketing efforts, we have been able to focus more on marketing efforts that are actually bringing in results and to stop wasting money on efforts that do not. The UI is really nice and intuitive, everything is exactly where you would expect it to be. Even non-tech people are easily able to figure out how to use and implement the software. Customer support is really good. In my experience, support tickets are always responded to within an hour and always helpful. The feature set in relation to pricing is as good as you will find anywhere in the marketing automation industry. Sharpspring gives you some serious bang for your buck. The email editor is drag and drop and easy to use, but still has bugs that need to be worked out. I would highly recommend SharpSpring to businesses large and small that want to move beyond basic email marketing and want to improve their marketing efficiency and customer communications. SharpSpring is a full-featured marketing automation platform that is within reach of most small businesses due to its cost and ease of use. It has features to satisfy both large and small businesses and can be customized for any industry. We have successfully implemented SharpSpring with small businesses that tried other marketing automation platforms in the past but left due to the costs and complexity of the platforms. Business owners are amazed at how easy SharpSpring is to use. Review: "SharpSpring: the good, the bad, the ugly"
We use SharpSpring to send all of our corporate emails, including newsletters, promotions, pre, and post-event emails, and other marketing related materials. SharpSpring is the only such software we are using. We formerly used Constant Contact but switched to take advantage of the better reporting and contact management features. All of our corporate PR is handled through SharpSpring. We also use it to notify our website users of updates, downtime, etc. Creating emails is very clunky. We were used to Constant Contact and SharpSpring is miles away from that. It struggles mightily with Outlook, and most of our customers use Outlook so this is a real problem. I have a very light knowledge of coding and in Constant Contact, I could work through the code and sometimes figure out what the problem was. SharpSpring coding is a nightmare. We can't ever fix anything in the code. Support: the model is that you buy SharpSpring through an agency, so anytime you have any questions, you have to go through your agency. This adds time and cost to solving what could actually be a simple problem. They will lock your account and you cannot send emails, not even a test email to yourself. They ended up unsubscribing thousands of our users and that was the only way we were able to send emails again. They can be unreasonable with their expectations on list performance. Our customers frequently use "info@" type email addresses and SharpSpring tries to block us from sending to them. It's very frustrating especially when you are committed to a schedule. As mentioned in pros, SharpSpring is very good at gathering information and behavior for website visitors. We have used that information to share with our sales reps and that has panned out well. I also believe that SharpSpring is reasonably priced, especially compared to similar programs of the world. If you are a BtoC business where your clients aren't widely using Outlook, you might be okay. For us, the inability to create nice looking emails for Outlook clients is a constant struggle. Finally, the dynamic content feature is a great idea (where you can customize content within the same email to appear differently to different recipients). However, the way it's done is SUPER confusing, and there's no easy way to check and test it except to set up a ton of test accounts with all of your different criteria. Review: "SharpSpring is our preferred Email Marketing System and CRM"
Our company uses SharpSpring for Marketing and seperatly for our sales management. In our marketing, we use the contact forms on our site, we use the email marketing and automation features to keep in contact with current clients, via newsletters and use the social listening tool to manage our social media platforms. We also use these tools for initial contact with new clients. Our sales team use the CRM with the pipeline features to see the value of the quotes we are working on. We also use the sales reporting tools to manage the marketing campaigns we are working on. The email builder and email marketing features are particularly good. Having used a variety of email marketing solutions, having the power of the additional visual workflows and tasks available makes a difference. The social media features are good and it's great to see the social calendar with everything planned and the option to post from there is great. The social listening tool is also great to manage our social media centrally. The life of the lead is a great feature to see when clients have opened their emails, interacted with our media, social channels or even our tracked YouTube videos. I also like the reminders option for the CRM, so I can plan my week and to list every monday, and the system reminds me each day. An appointment calendar option would be great to synchronise with the social calendar. A better basic search function would be good for the contacts section of the CRM. The social sharing options could be improved for LinkedIn, and the addition of sharing to Instagram would be great. SharpSpring is great for companies of 3/4 or more employees, where you can use it's powerful automation features to assist in your marketing and sales efforts. It is also a great option to consider when companies are using several different solutions for email, analytics, social media campaigns and social media management, where SharpSpring can replace all of these in one platform. User Review: "SharpSpring is on Point"
SharpSpring is the combination CRM/Marketing Automation platform that we use across our entire agency, as well as for some of our best digital marketing clients. We are able to manage the marketing/sales cycle in an integrated fashion with seamless data transfer across all departments. Our team has complete transparency on which marketing channels drive prospects through our sales pipeline and where funnel leaks are occurring. We have the ability to customize every automation chain, every piece of marketing material and every notification, while tracking how each individual prospect interacts with our business one every major marketing channel we utilize. SharpSpring truly is the all-in-one that solves the marketing and sales needs of many businesses like ours. We highly recommend this product. Complete control over the entire marketing funnel, from smart, dynamic landing pages to emails that can deliver highly-personalized content, while providing transparency over the entire process. Intelligent automation tools that take the guesswork and drudgery out of common marketing tasks. Unified user experience that translates across the entire platform. The initial learning curve is a challenge, though the support team is very good about training during the initial onboarding period. Users need to be willing to commit to utilizing the tool, across every team who is using it, or it won't be as effective as it can be. Continue to improve the ease-of-use in the marketing production tools. SharpSpring is targeted and focused on agencies who then become experts in the tool and how to best utilize it for their clients. If you're part of a marketing agency and need a tool to take your business to the next level - SharpSpring very well could be the answer that you have been looking for. Review: "If you're looking for a great CRM and marketing automation platform, look no further and SharpSpring." Our whole organization uses SharpSpring along with several clients. We use it as a CRM, marketing automation platform and inbound marketing engine. We manage SharpSpring for our clients for the same features and functionality. SharpSpring is great because it's easy to use, intuitive, and has all the bells and whistles other more much more expensive platforms have. CRM: Super easy to use with great functionality. I love the "life of the lead" timeline, "Smart Mail" and other thoughtful features. The lead scoring provides a nice snapshot of how hot a lead is. Marketing Automation: Really easy to use "Visual Workflows" and "Action Groups" let you set up complicated marketing automation fast. Easy learning curve for my clients. Inbound Marketing: Love the landing page and blog builders. Easy to set up inbound workflows. Reports and Analytics: Great dashboard and deep-dive tools. The social media tools could be more robust. I know they're working on it. Love to have an instant chat feature to put on client websites. Working in contact windows can get a little confusing. SharpSpring is extremely well-suited for SMB clients. You get a lot of features and functionality for the money. It's a great platform for companies who have never had a CRM or marketing automation platform. My clients are very happy with it and its ability to help them find leads, nurture them, track website activity and deep-dive into marketing automation. For large, enterprise clients, platforms like Marketo might be a better fit. Our agency uses SharpSpring as a CRM and MA platform for managing our own leads and sending personalized emails. We also use SharpSpring to manage our client's MA campaigns. Additionally, we set up the CRM for our client's sales team and provide support to their salespeople when they are using the CRM. We also have clients using Marketo and Pardot, but I think SharpSpring has the best support when comparing to competitors. Their responses are timely and clear. There are different ways to contact so you always have access if there are any issues. By far SharpSpring has the best price when being compared to competitors, making it accessible for small businesses as well as large. The platform is very easy to use. I have clients, with varying technical skills, that have all been on-boarded successfully. I think the CRM would be perfect if SharpSpring had the ability to create custom reports, similar to Salesforce. Many of our clients have used Salesforce so that is what they are accustomed to. Having the ability to create a report with a drag and drop editor would be great. SharpSpring is great for people looking for a cost-effective marketing automation solution. It has all the features needed, including extras like landing page creation, for a fraction of the cost compared to competitors. Review: "SharpSpring - The best thing since Wonder Bread!" SharpSpring is currently being used across our organization as a whole - from internal to external client usage. We chose to use SharpSpring because it is easy to use. It is understandable and has robust marketing automation and great CRM software. You are able to quickly master the basics - in this instance the email marketing and sales pipeline functionality of the platform. It is constantly being updated and new features are rolled out on a consistent basis - they even ask for user requests and are regularly updated with those requests. The email creation aspect of the software - from email designs to workflow creations, is seamless and very straight forward. The user support is top notch. SharpSpring is incredible at tracking communication from your team. SharpSpring has a robust and feature-rich marketing automation system - from workflow and rule creation to actual email design and development. SharpSpring has the best customer support - both with issues and the openness to ask for implementation requests and then putting them into the product live. 100% the best feature of SharpSpring is the care of the support team. SharpSpring could improve its reporting functionality - it lacks the ability to truly create drag and drop custom reports. SharpSpring could use a little more ease of use for its email design editor - it requires some technical knowledge of HTML code to really create high-level emails outside of its canned templates. SharpSpring is perfect if you are looking for an inexpensive, feature-rich and customer support focused platform. You will be able to quickly understand how to do the basics of the program to take your business to the next level and have the support of SharpSpring to master all the complex and advanced features that it truly offers. SharpSpring Review: "Customer and technology focused and is a great product with a lot of features for a great price." It is being used by multiple business units within our company to take our marketing to the next level. Being able to communicate with customers in a quick and targeted manner and drive lead generation. We use it to integrate with Salesforce to get our Sales team as much helpful info as possible. We are also using it to link to our back-end system to handle the onboarding of customers. They have a lot of features that other MA tools don't have for the price. It is mostly out of the box tools, but they have a decent amount of API capability that we have taken advantage of. It is mostly out of the box, so it sacrifices some CRM features, and other out of the box features are a little less customize-able than some other, albeit more expensive, tools like Salesforce, Pardot, and Marketo. There are some more out of the box options that need even less customization that may be better for smaller companies. Great for Partners and people selling MA and CRM technologies. Great option for multiple accounts and clients. They are dedicated to help their partners and listen to feature requests. They are quick to help on support tickets and everyone I have dealt with is very knowledgeable. They have a lot of features for a mid-tier level price. You can jump in with their out of the box features or tap into their well-documented API, or even sync with Salesforce. User Review: "A few thoughts on SharpSpring"
We use SharpSpring to support inbound marketing efforts and customer communications for our own team and for clients. The platform requires some time investment up front, but thereafter frees up a lot of time for our sales and marketing teams. It also helps us fill up our pipeline and improve engagement. The automation workflow builder is user-friendly, flexible, and extremely powerful. Support has been great which is essential for a platform with this type of complexity. Importing contacts with custom fields is very straightforward and efficient. Social media integration seems like a newer feature and has limited functionality/platform integrations. It's a fantastic tool for managing multiple clients or internal divisions. It's also useful for aligning the sales and marketing teams since the CRM tool is fully integrated with the marketing automation platform. Review: "SharpSpring Increases Profitability and Ensures Success"
SharpSpring is used by everyone on our account management team. It allows us to track leads, make connections through custom workflows, and trace sales through the sales pipeline. We have seen an increase in profitability since using the SharpSpring and are looking forward to another successful year in 2019. We recommend it to businesses big and small! SharpSpring allows us to create workflows to send automated emails on a dynamic schedule, catering content to each unique persona. 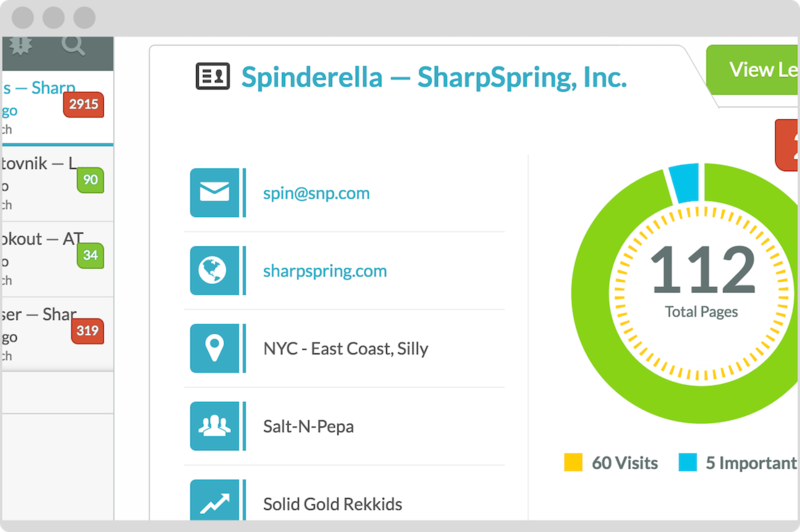 SharpSpring tracks the behavior of visitors on our site and gives us insight about how best to interact with them. SharpSpring creates analytics reports for us to share with our team, allowing us to gather real-time data. We would appreciate it if SharpSpring could add action steps to workflows retroactively. We would like to sort by tags in SharpSpring. Sometimes, reading analytics reports is confusing because the rationale is not clear. 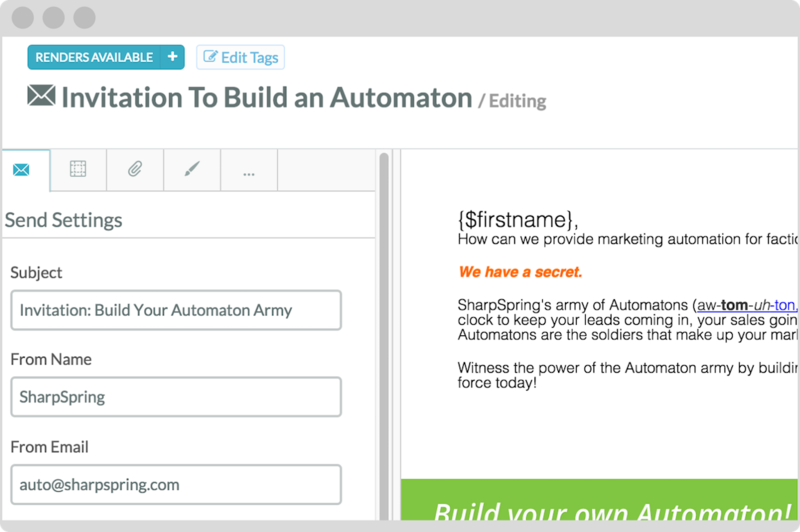 This is a fantastic tool for marketing automation. I've never seen anything like it! It's user friendly for everyone on your team and enables you to track client interactions. I recommend the tool as a Customer Management System (CRM) and encourage users to include as much information about their contacts as possible to an even greater return. User Review: "SharpSpring Works For Small Businesses"
We use SharpSpring for marketing automation (email automation) and for scheduling our social media. We are beginning to use their sales platform as well. We use it only for marketing/sales. It helps us keep in touch with our customers and understand who our customers are and how they view and use our content. SharpSpring has visual workflows for email automation that are very helpful when trying to set up complex marketing workflows. Being able to see the branches of a workflow really helps when designing one. The way in which you can view individual contacts in SharpSpring is very useful. You can see which lists and campaigns a contact is a member of and also look through a timeline of their interactions with you and your website. 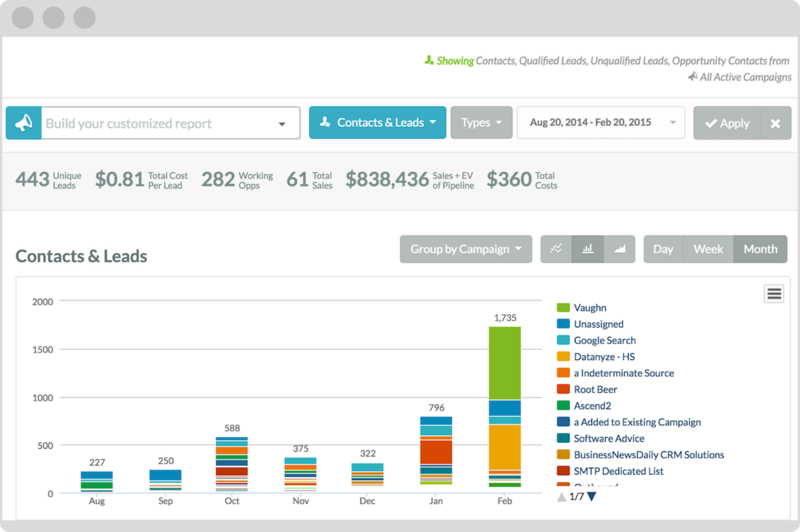 SharpSpring does campaign tracking very well and integrates with external campaigns. The social media scheduling platform is a little bit clunky You can't schedule a post more than once, you can't see your scheduling calendar once you've started a post, you aren't notified when you've used too many characters for a post on Twitter, and a few other things. We've had some issues with buggy email and page creation: Plugins from browsers inserting unwanted code into emails, forms not working, etc. Generally the tools for page and email creation are not particularly user friendly when it comes down to it. Something as simple as adding a text box in a specific place on an email or page can be a frustrating experience. We used to use HubSpot, and we loved it, but it was beginning to be too expensive. As a small business, SharpSpring does everything we need and for a lower price. It is generally a little clunkier than HubSpot, but it does everything we need it to do. I recommend SharpSpring for companies who want to save money on their marketing automation without having to give up on functionality, but who are savvy enough to deal with a platform that is not always user-friendly. Review: "SharpSpring - a great tool for B2B small companies and agencies"
SharpSpring is used as our CRM and marketing automation platform for our sales and marketing efforts at our agency. We also manage SharpSpring instances for several of our clients helping them utilize SharpSpring as a tool to drive their account based marketing practices, converging both the CRM and marketing automation capabilities. SharpSpring provides an affordable, all-in-one sales and marketing solution for agencies and small businesses. SharpSpring provides Visitor ID which is a great tool to identify anonymous traffic. 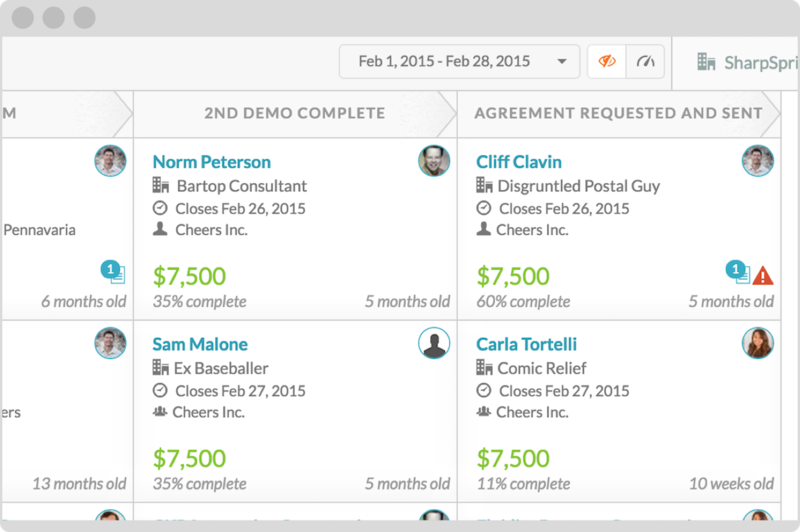 SharpSpring's CRM is straightforward and simple for smaller sales teams. SharpSpring's support is mediocre and could improve. I've seen our email send data be rather sporadic and unpredictable. SharpSpring's email servers may be the cause of that. I'd love to see SharpSpring provide more integration capabilities with Wordpress and other CMS platforms. SharpSpring is very well suited for small businesses due to the low cost and straightforward implementation. Marketing agencies, in particular, can benefit from using this all-in-one platform that includes CRM capabilities, as well as marketing automation. For larger marketing and sales teams, especially those in enterprise companies, SharpSpring is not as a good a fit as there are less team-based functionalities to manage multiple sales reps and marketing team members. Review: "SharpSpring: Great for Knowledgeable SMB Digital Marketers"
In my role as a marketing strategy consultant for a growing financial services organization, I really enjoyed using SharpSpring. We needed to continually communicate variable messages to a wide range of audiences in various stages of their buying journey. Without a lot of experience and no training in the platform, I was able to jump in and create several funnels, all leading to personalized landing pages. I love the way the full suite of services was integrated and relatively easy for a "newbie" to use. We leveraged the platform to drive ongoing revenue growth for the several years that I was supporting the organization. SharpSpring is relatively easy to learn, and you can quickly get started creating campaigns. SharpSpring is intuitive enough that you can create complex campaigns without a great deal of time investments. Marketers and designers found it easy to collaborate, creating assets and linking them together. I loved the way you could send customers through various funnels and switch them mid-stream. Lack of or limited calendaring is a challenge. The email interface is a bit limited in scope, and templates may not always be compliant with all browsers. While you can integrate with Zaps, would love to see major players in chat and social integrations. SharpSpring is best for SMBs with at least a few marketers or consultants on staff as well as someone knowledgeable in digital marketing to build workflows and create cohesive campaigns. It may be more than you need if you're not planning to fully utilize all of those options. Even one full-time marketer should be able to handle the platform if they're mostly dedicated to digital, email and web funnels. SharpSpring Review: "Solid Marketing Automation for Agencies"
As a marketing agency, we recommend SharpSpring as the marketing automation tool for our clients. For each of our clients, it solves the problem of being able to send marketing emails to large lists, creating web forms for generating leads, tracking marketing campaigns, creating automation tasks to follow up with leads or notify users. Automation is great in SharpSpring. The workflow builder is intuitive and a great way to visualize your automations. It shows all the available triggers, and then you can select from a vast array of automated tasks. These are great for anything from form notifications to complex automated email nurture campaigns with lots of "if this, then that" statements. 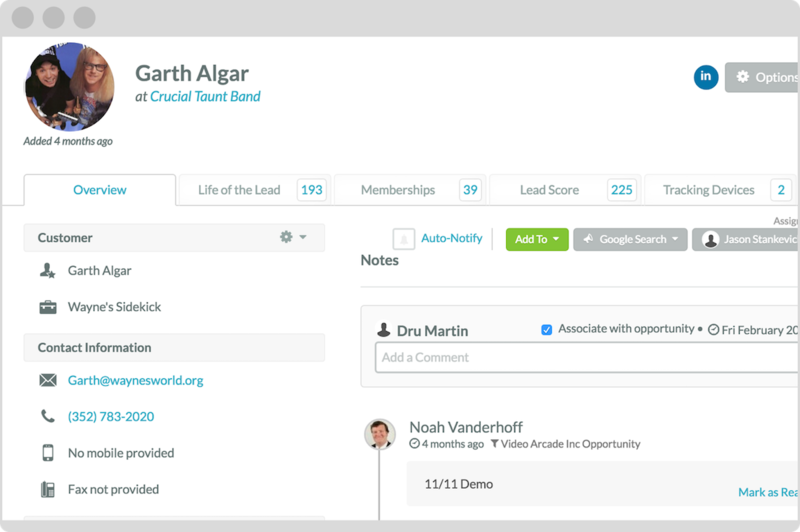 The Life of the Lead function on the contact record is great for CRM purposes. Right on the contact record, you can see all the activity of a contact record, even website visits before they ever filled out a form. It can match the IP address of a website visitor to an email address as soon as they fill out a form. You can then see how long someone was evaluating a product or service and which pages they viewed. Then as the lead grows, you can see which emails they've opened and clicked, and the form data they've submitted. The email builder is kinda disappointing. While it's not necessarily difficult to use, the blocks and layouts available are not as expansive as some other platforms, and the ease of dragging and reordering and making it responsive on mobile is pretty lacking. The look of an email in the builder is very deceiving. The live email almost never looks like it does in the builder, especially on mobile. It hurts the trust I have in the platform when I am building emails. SharpSpring is well suited for companies that need marketing website forms, marketing automation, or large-list email capability on a limited marketing budget. SharpSpring is not well suited for companies that have a high-touch approach to customer relationship management or customer success. The automation workflows make it very low-touch, meaning very little interaction happens between a human rep and a human lead/customer. SharpSpring Review: "Sharp Spring for a Trade Association"
We replaced a broadcast email system to switch to marketing automation. We wanted to capture the full behaviors of our target audiences, not just email. We use SharpSpring to generate membership and sales leads. We use it to monitor lead scores and better our lists. Email template designs look out of proportion in Outlook. Ability to load a survey in and have a non-recipient complete it—have it forwarded. More strategy training, templates, and campaign approaches. User Review: "SharpSpring is a great tool." Our organization uses SharpSpring for both our company as well as the ones we serve (we are a digital marketing agency). We use SharpSpring for email automation, marketing automation, lead tracking & management and more. We love SharpSpring because of how thorough and dependable it is. We always recommend SharpSpring to our clients if they want best practices across the board. Best practices for email automation & sending. Marketing automation & building workflows. Our team uses it for marketing automation, email sending & automation, CRM, as a sales tool, lead tracking & managing, as well as building workflows. The social media features are ones I'm not too familiar with yet, as I know it's a newer area for SharpSpring. I know there are many other features and some I'm not familiar with yet. Review: "SharpSpring adds Springs to your Small Business!" At the Global SOF Foundation, we use SharpSpring primarily for email marketing, social media posts, landing pages, marketing automation, and web page visitor tracking. We also use it for lead generation and communication history with our members. It is primarily used by our marketing team, although we are interested in getting our sales team involved with those tools as well. Email Marketing: The email editor could use some improvements, but overall the emails created are sleek. They provide good stats and analysis and work to help you make them engaging for customers. Lead Generation: SharpSpring is great at allowing you to create criteria and a points system that's important to you and allowing you to see what leads are hot and which people aren't engaged. Contact Management: It's easy to see who you've talked to and what you've said to them, which is cool and helpful. Sales Pipeline: We don't really use this (yet), but their sales pipeline is great for a sales team to track opportunities and successes. Social Media Posting: It's great that they have it, but other platforms like HootSuite are still superior in execution. I know the SharpSpring team is working to get Instagram on the system, but it's not there yet. Campaign Management: Their Campaigns tool is kind of confusing, and they don't have a real "campaign planner" tool, which is something I'd really like to see. Content Calendar: It's good but could use more flexibility. I wish it was more like the Sales Pipeline, where you can easily move things around, check things as complete, show overdue, etc. SharpSpring is very well-suited for marketing automation. For example, I can set it up so that if people visit certain web pages, that will trigger an email delivery. It helps you gain customers that you may have otherwise not known existed. SharpSpring is not as well suited for over-arching campaign management, because it doesn't have the best planning tools and their social media posting tool can use some work. SharpSpring Review: "Best Alternative to Hubspot"
We help our clients automate their marketing processes using SharpSpring. Not only does SharpSpring allow us to track behavior on websites and emails, but it also provides an excellent CRM to manage sales pipelines. Our entire company uses it in one way or another. From a sales perspective, we utilize CRM and pipeline reports to forecast our production schedule. We help our clients manage the same, along with their daily Visitor ID reports to monitor web traffic. Lead Scoring. The algorithm allows for negative points when there's a bad fit or decay due to a lead not moving forward through the funnel. Pipeline Management. Creating opportunities is super easy and they are tied to people, rather than companies, which allows us to get more granular on associated behavior with various lead magnets. Personas. Building personas, that are both ideal and not ideal fits for the product or service, allows us to segment our audiences quickly and also provides us with an easy filter for who we should be talking to now. Landing page builder. We have tied in a 3rd party software because we like the functionality better. SharpSpring is great for B2B and considered purchase products. When selling high-value services or products, there is typically a good amount of research a lead will do prior to reaching out. SharpSpring does a great job of illuminating the digital journey retroactively once a lead has completed a form. SharpSpring Review: "Good value, solid marketing automation system"
I work at a marketing agency and we use SharpSpring for our own email marketing needs, and for the email marketing needs of our clients. SharpSpring has allowed us to grow our own business and generate meaningful sales qualified leads for our clients. Awesome VisitorID feature. VisitorID gives you the ability to see which individuals and companies are looking at your website. Detailed email and website reports that provide key info and are easy to digest. SharpSpring is not as robust as other marketing automation platforms. As a result, it lacks many features that other systems have and the site often glitches. It's difficult to automate drip campaigns, notifications, etc., as the automation functionality is missing a number of key features. CRM does not seem fully developed; it is not intuitive and lacking a lot of basic search/filtering functionally. You may have to know a bit of HTML to design emails, as the pre-built templates can be a bit finicky. Good for agencies that want to sell SharpSpring to their clients for email marketing automation. Not great as a CRM/sales solution as the CRM system needs a bit of work. SharpSpring Review: "Useful tools for someone new to marketing but familiar with sales." I use SharpSpring on a daily basis for contact management for our customers as well as various integrations into other platforms for marketing purposes. We generate leads internally and manage them as well as for our customers. Newsletters, email campaigns and use of Google Ads, Zapier and others allow for us to provide an entire suite of options regarding acquiring leads, maintaining them and delivering content to our clients' customers as well as our own. Integration into various platforms allows for customized deliverability & validation of the efficiency. We can send a newsletter created within SharpSpring, add & change content on the fly and measure the effectiveness of the inbox, click rates, feedback and more. When updating the contact database, it is easily maintained by customized rules based on our specific company or client needs. This saves us tons of time managing thousands & thousands of contacts. I enjoy being able to add & remove content with the provided interface for email campaigns as it provided me a streamlined way to pull info & data from other locations right into the campaign without having to switch back and forth. There are a few quirks with naming conventions but nothing that couldn't be quickly resolved or even modified on their own back-end. The support team is above & beyond! Every time I have come across an issue its has been immediately resolved. SharpSpring saves me time, provides the integration tools to provide a level of content and measurability to our clients that is exactly what we need. If it can't be done, the support team will jump right in and do whatever it takes, to make it happen for us! The virtual classroom is also an amazingly helpful arena for getting new employees up to speed. User Review: "Our Thoughts on SharpSpring"
We used SharpSpring on a daily basis, we use it to do inbound marketing, finding lead prospects and lead nurturing. We have been using it on a few clients and it has been phenomenal, we are able to provide them with quality leads, drive sales in a more efficient manner, it's a great tool for marketing automation. The use of templates to build emails, landing pages. When saving the templates sometimes it does not save and you have to do it again. Email reporting could be easier to navigate. Currently, there's a drop-down menu and you have to remember what your email was called. User Review: "My SharpSpring Experience"
We currently use SharpSpring for new clients, to whom we offer this solution as 360-degree customer management. It is a tool with which we mainly address the problem of providing a real and personalized follow-up to all potential customers interested in the products or services of our clients. 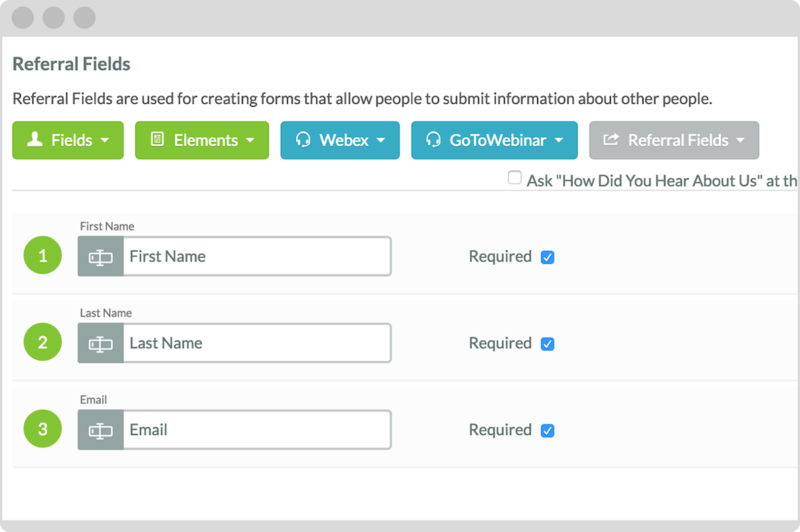 This tool is an excellent way to track forms generated thanks to your digital campaigns. I do not think there is an area where you can not take advantage of the resources offered by a tool such as SharpSpring, maybe, if you have a client that has 300 stores, it will be difficult to configure the number of users within the platform, but it is not impossible. SharpSpring Review: "Good value for the investment"
Our agency uses SharpSpring as an email platform, lead management system, workflow automation, and campaign snapshot tool. We have been using it for about 4 years, so ever since they were almost brand new and we've seen them develop new solutions and roll out new products. They help us provide a quick overview to our clients of where the campaign is at in terms of KPIs and we are able to develop out fairly sophisticated workflows for engagement and conversion. If you have a small campaign that isn't a high value per conversion, SharpSpring might not work well for you. It works best with tracking the path to conversion for individual leads and in workflow automation, so if you don't have the time or content to have those touchpoints with each lead, there are other more simple platforms that can help you grow. We use SharpSpring for our marketing as well as for many of our clients. This technology has enabled us to identify and automate our key repeatable marketing processes. It has also given us the tools to systemize our marketing and sales and build a reliable business. SharpSpring is ideal for businesses that are driven to achieve customer growth. It is best employed in situations where users are committed to making full use of the platform functionality. Over time, with dedicated use, marketing automation can generate significant ROI while ensuring business continuity (should key staff members leave). SharpSpring is a flexible and comprehensive marketing automation platform. This solution offers behavior-based email marketing, native or third party CRM integration, dynamic forms, social media management, landing page and blog builders, universal CMS compatibility, and integration with hundreds of third-party applications. SharpSpring offers an intuitive interface with all of the features one would expect from a marketing automation platform – at less than 1/3 of the cost of the competition. A special partner program is available for marketing agencies. Fully customizable campaign dashboard. Slice and dice powerful metrics into customized reports.Behavioral-based automation is easy with a simple WYSIWYG editor, allowing you to see your edits in real time.Dynamic forms built for conversion, with a sleek drag-and-drop editor and Go-To-Meeting and Go-To-Webinar integrations.Engage leads at critical points and see full information about your contacts with our contact manager.VisitorID identifies 2x as many visitors to your site, with behavioral-based tracking to truly understand what motivates each click.Built-in and 3rd-Party CRM allows you to track opportunities from creation to close with a bird’s eye view of your pipeline. Why Marketing Automation? Today's marketers have a lot on their plates, between generating leads, closing sales, and proving marketing ROI. Fortunately, SharpSpring makes this easier.